XL Insurance Company, the UK-registered general insurance arm of Ireland-domiciled (re)insurer XL Group, made a pre-tax loss of €25.2m (£22.3m) for 2010 as a result of international catastrophe losses and reserve additions. The company, which writes internationally and in the UK but does not include XL business written at Lloyd’s, made a profit before tax in 2009 of €79m, a figure that was brought down to €49.2m following a €29.8m tax bill. In 2010, a €12.1m tax credit brought the loss after tax to €13.1m. 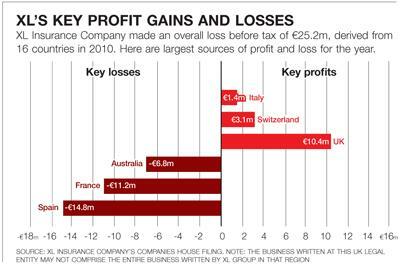 Last year’s pre-tax loss was driven by an underwriting loss of €65.6m, compared with a 2009 underwriting profit of €47.7m. The loss ratio came in at 81.8% versus 35.7% in 2009, while the company’s combined operating ratio jumped to 119.2% from 78.4%. According to XL, the losses were driven mainly by the earthquakes in Chile and New Zealand last year and the flooding in Queensland, Australia. The company also had to strengthen reserves. While it released prior-year claims reserves from its professional business, this was offset by a strengthening of reserves for excess casualty. XL added that on a smaller scale, it had been able to release reserves for property, marine and offshore energy – a reflection of better than expected claims experience. Despite the loss for the year, XL Insurance Company grew its business. Gross written premium increased 20% to €1.2bn from €962.9m the previous year. 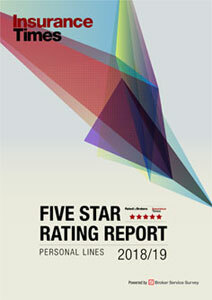 The company said the main drivers of the increase were policy renewals at higher rates and new business. 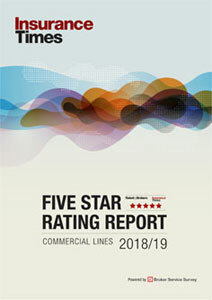 But, while renewals in a number of policies resulted in higher than budgeted rates, the company noted that rates in general had been softer than anticipated and that winning new business had remained challenging. XL Insurance Company’s results come in stark contrast to those posted by the overall XL Group, whose 2010 net profit almost tripled to $585.4m (£357.8m) from $206.6m. This marks the group’s return to strength after suffering heavy losses during the financial crisis of 2008 and turning in a smaller profit in 2009 while still in recovery mode. The former Republican candidate Mike McGavick has a huge reputation after turning round XL Group and Safeco. But will his next challenge be in business or politics?